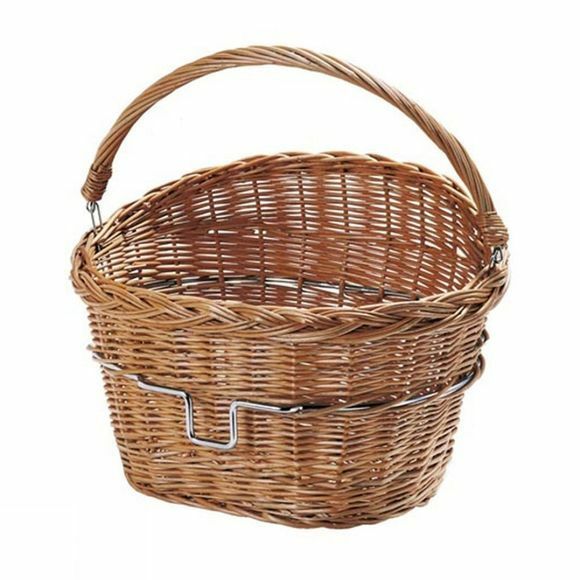 Natural basket made of willow with foldable handle and chromium plated steel bracket for the KLICKfix handlebar adapter. As light as an average wire basket. For easy shopping - just click it and go!